Enlightened companies acknowledge that social media is a powerful medium for conveying a message to a large number of people in a very short space of time. Social media can be used in a positive manner to convey marketing messages, or it can be used to publicly express dissatisfaction with a company or service. Recently I had a very unsatisfactory customer service experience with a local franchised business. The manager wasn't on the premises so I asked the young assistant to ask the manager to call me. He didn't, so I rang the shop to be told that the manager was too busy to talk to me about their customer service. I decided to see if The Franchisor was more customer service focused and aware, by posting on both Facebook and Twitter. It went something like this "Had a truly awful experience at 'company name's' local store today, and the manager doesn't care". I waited to see whether the company would pick up the comment. They didn't. So to give them a second chance I posted again. I had lots of comments from other people who saw the post but none from the company. 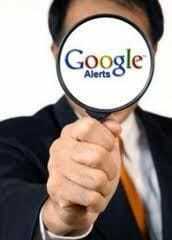 Google alert is a tool that allows businesses or individuals to monitor for free, what is being said about their company in the online world. It is a free service. You can't stop people talking about you online, but being aware of what they're saying allows you the opportunity to respond quickly to diffuse a situation. You do not have to be engaged in social media to use this tool. Google will send you an email of whatever message they find online. Twitter will also pick up any "mention" of you if you subscribe again for free. In my opinion all businesses and Franchisors in particular, need to be informed about what is being said about their businesses online, and Google Alert provides an easy and free method of achieving this. Go to www.google.com/alerts to set up your alert today. No excuses now!